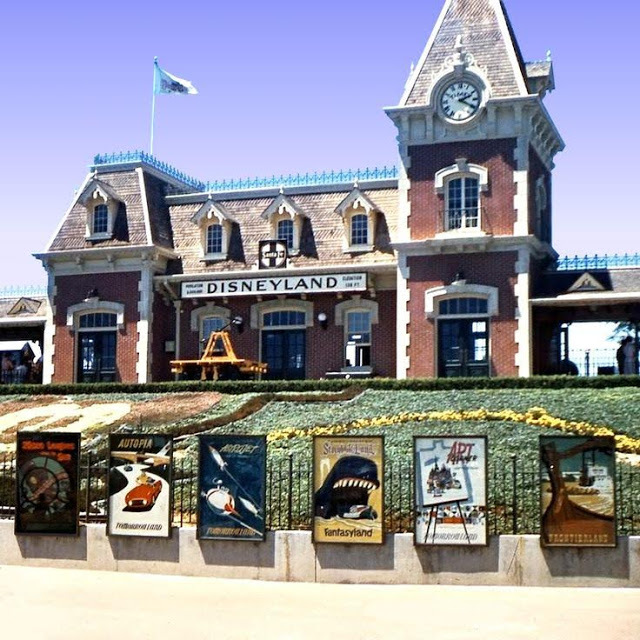 The art and design of the Walt Disney company is always top-notch, but if there’s a candidate that does not receive it’s due time in the sun, it’s the Attraction Posters sprinkled throughout the global parks. Usually clustered near the entrances, they’re meant to build excitement for the adventures within, as well as inform the visitors of new experiences. Starting out as a graphic designer and illustrator, I really appreciate and love the eclectic styles of these works of art. Though some weigh heavy with the charming aesthetic illustrative trends of the specific decade (most notably the slightly abstract and sci-fi conventions of the late 1950s and early 1960s), all are timeless and beautiful. The utility significance of these posters as information centers have drastically decreased with the advent of today’s new communication technology (the power of the internet in everyone’s pocket!). In the past, the primary avenues of informing the public of new park attractions were radio spots, Los Angeles billboards, magazines, and of course Walt himself speaking from the Wonderful World of Disney television show on Sunday nights (often the only color show on TV that day). Keep in mind as you scroll through the posters, the Disney artists did not have the luxury of perfectly-uniform digital fonts – all that gorgeous typography was done by hand! The small resolution here does not do justice to these gorgeous works of art. If you would like to enjoy full-color, larger spreads in amazing detail as well as scores of others, I encourage you to pick up the fantastic Poster Art of the Disney Parks by Daniel Handke and Vanessa Hunt. The inspirational source contained within is boundless! Below is a pic from Disneyland back in 1957, right outside Main Street, USA. Hope you enjoyed these posters!